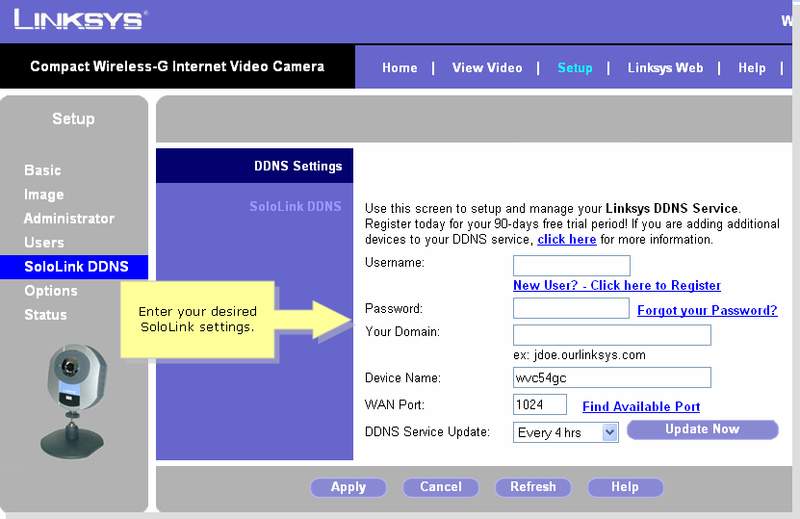 SoloLink DDNS is a service offered by Linksys that is provided with the Linksys Internet Video Camera. Many Internet providers assign a new IP address to a connection from time to time or when your Internet connection is restarted. 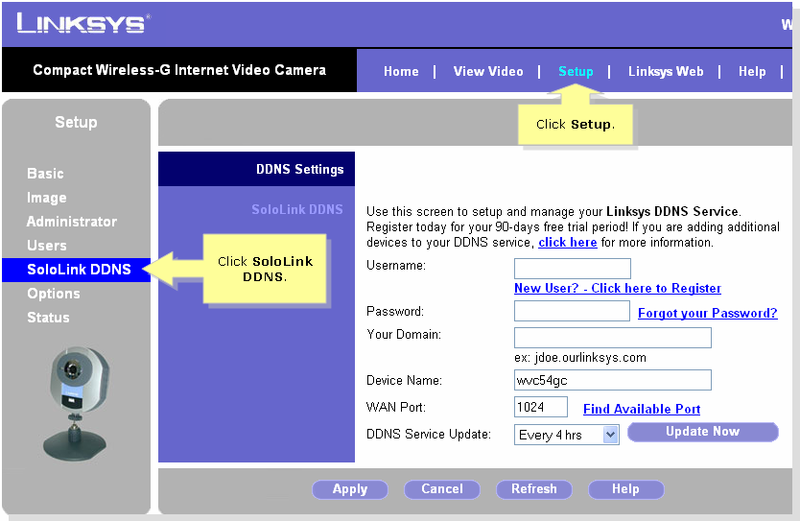 The new SoloLink service is a DDNS service that keeps track of the IP address of the camera, even when it changes. With an easy to remember web address that you select, the camera’s video stream can be found quickly and easily. All Linksys Internet Video Camera customers will receive a free 90-day trial of the SoloLink service upon purchase of the Wireless Video Camera. When the DDNS Settings tab appears, look for SoloLink DDNS and enter your SoloLink Username and Password, your domain name, the device name, WAN port, and preferred DDNS Service Update. If this is your first time using SoloLink DDNS, click New User? – Click here to Register. NOTE: Make sure that you have an active Internet connection in order to register.